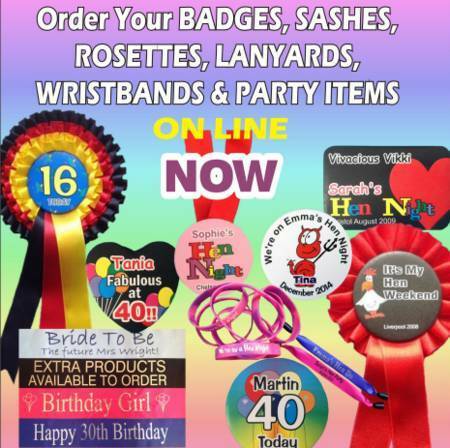 Whether its a customised badge, hand made personalised rosettes or custom printed sashes then we can help to make your party the best it can be with our great selection of customised party wear. We can appreciate that it is often difficult to decide exactly what style of personalised rosettes you might require. So we have made a couple of simple videos to help explain. Hence, we would recommend you watch both videos on our personalized rosettes range. The other one will explain the options available for personalized rosettes and the one above will take you through the actual ordering screens for our personalized rosettes. 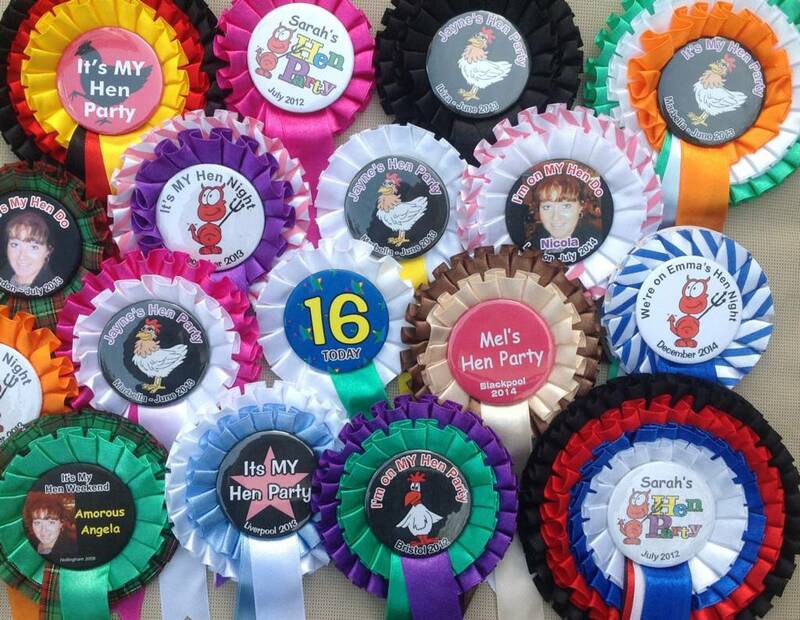 Buy your Personalised Rosettes now. Remember you can choose whatever ribbon colours you wish for the rosette layers. It is also possible to have different colour combinations of ribbon in the same order. There is no extra charge for mising the colours.